This post is not meant as a criticism of textbook authors and publishers. By and large they put in long hours to make sure that they produce a quality product. They also fulfill a very real need. Textbook authors are often driven to write because they are not happy with the current offerings, and the project is usually inspired by their own teaching needs. Yet, there are problems with textbooks that occur despite the best intentions of those who write and publish them. In this blog I lay out the growing problems I have had with textbooks. The focus is on my field of International Relations (IR), although I suspect that many of these problems are common across other fields. Follow this blog & never miss a posting. Enter your email address to follow the Dregs of Romulus, & receive notifications of new posts by email. “Reordering the World and the Canadian Question” The Disorder of Things (31 July 2017). “The Origins of International Relations” BISA Research Articles (2015). “The Colonial Armed Peace: Was the Great War a Failure of Imperialism?”, The Disorder of Things (30 October 2014). 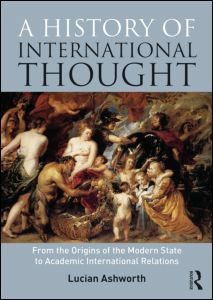 “How Should We Study the History of International Thought?”, e-International Relations (20 June 2014). “Of Great Debates and the History of IR: Why the ‘Great Debate’ Story is Wrong”, e-International Relations (12 Feb 2014).